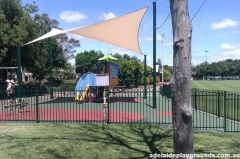 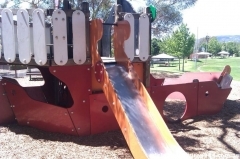 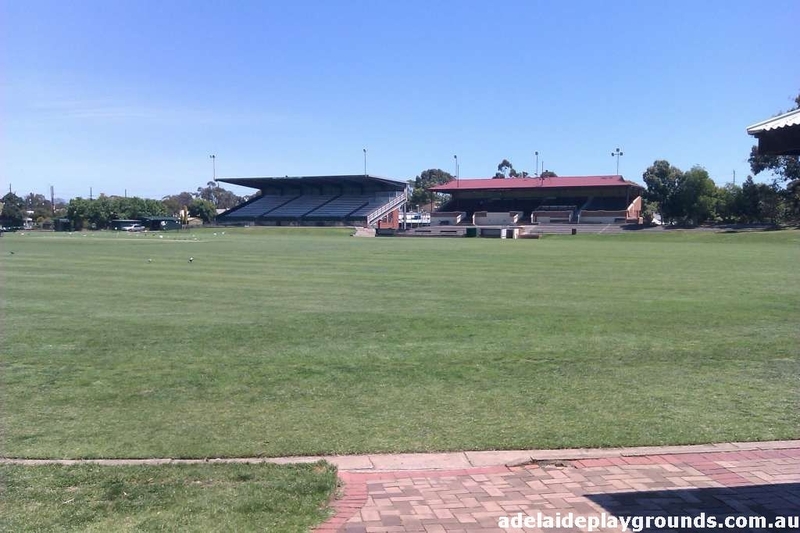 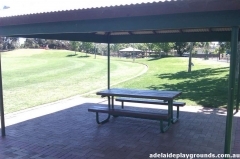 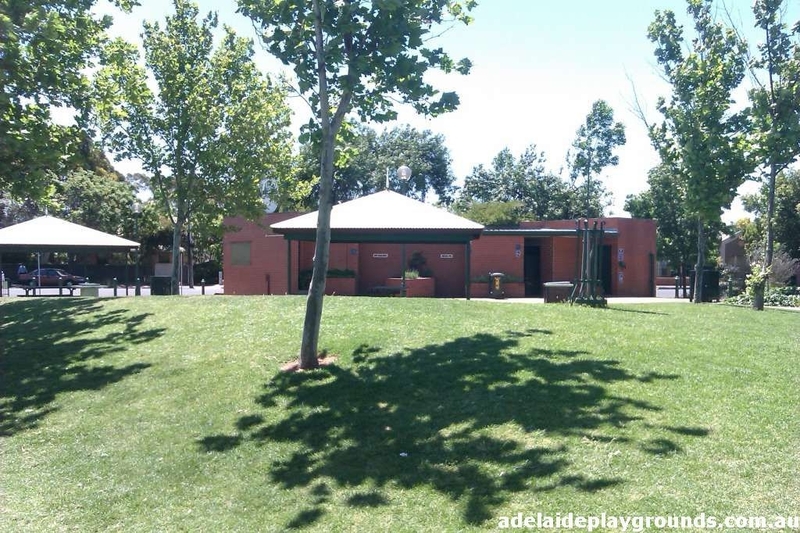 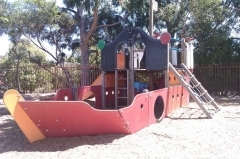 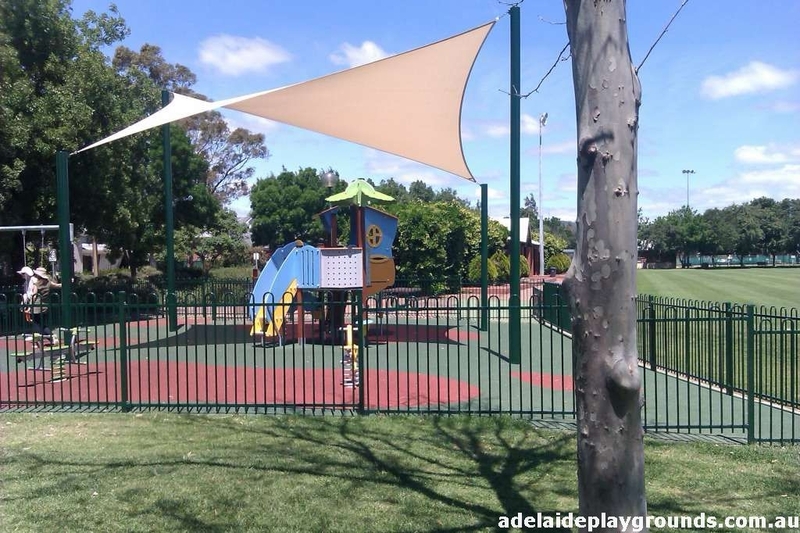 There are two playgrounds at Unley Oval, one on top of the hill and the other at street level. 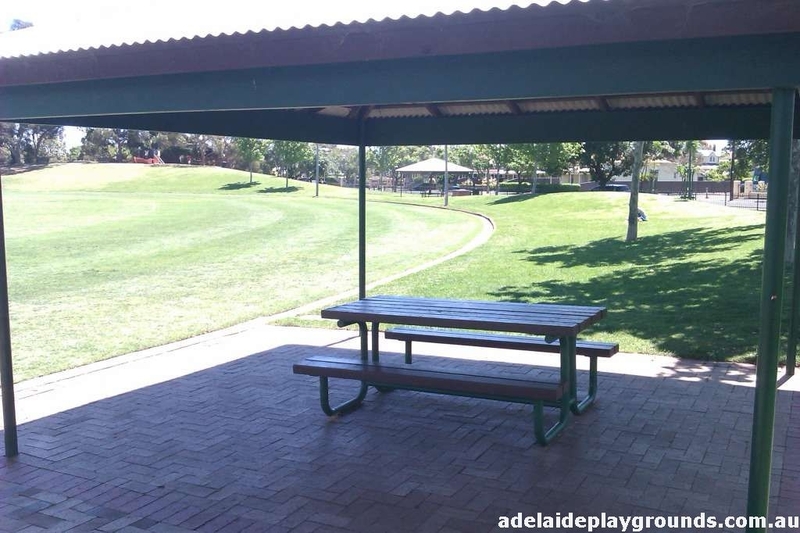 The street level one is the nicer of the two being more shaded and modern looking with rubber surface. 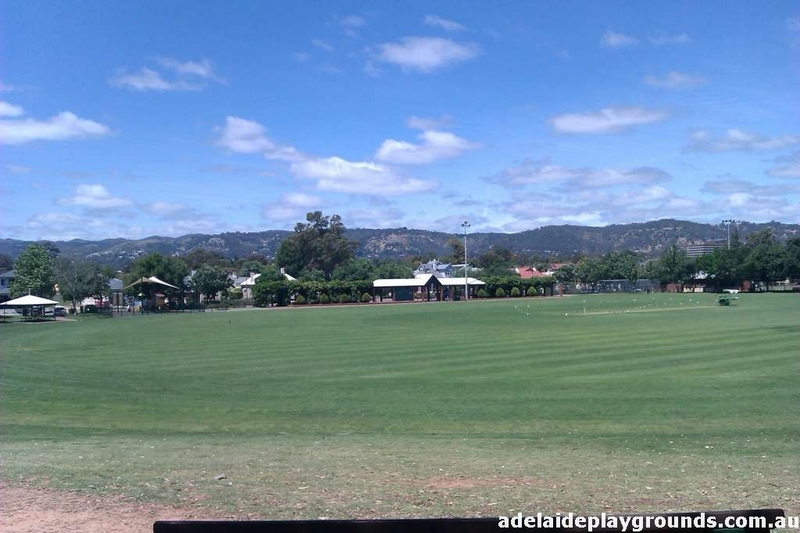 The hill top playground gives good views of the oval and hills in the background. 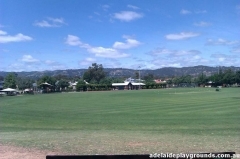 It would be a good viewing place for days when sport is being played.